← Has Swarovski stopped selling body crystals (vajazzles)? SWAROVKSI ELEMENTS dedicates a vast amount of time, effort and investment to groundbreaking research and innovation. Obviously, it seeks to protect these innovations from copycat attempts at plagiarism – otherwise known as “counterfeit goods“ – through design protection legislation. The XILION design is an example of a product protected in this way. An infringement recently occurred in China: the company namely Yiwu Yongyang Ornaments Co., Ltd. stood accused of producing and distributing flat-back stones imitating SWAROVSKI’s patented XILION cut design. A civil litigation was filed by SWAROVSKI and lead to a settlement in which the defendant admitted engaging in an act of plagiarism that constituted infringement of SWAROVSKI’s registered design patent. The perpetrator was obliged to destroy the goods in question in the witness of the plaintiff; pay a substantial monetary compensation; and issue a public apology that included a statement of intent never again to infringe SWAROVSKI’s design rights.SWAROVSKI’s pursuit of justice was wholly based on the unfairness of plagiarism. 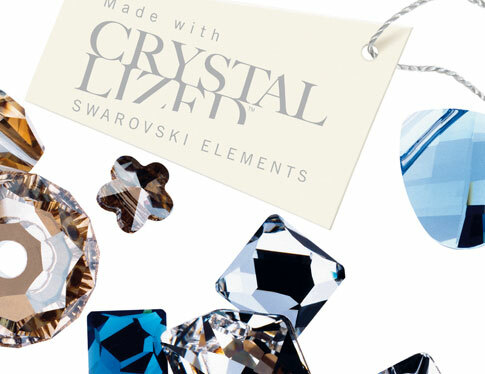 SWAROVSKI ELEMENTS take years of costly research and development to produce innovations. Protecting SWAROVSKI’s business partners worldwide from the knock-on effect of such acts of theft is a key motivator for prosecution. Anyone who encounters cases of suspected plagiarism should refer them to their local Swarovski distribution company. This not only brings IP (Intellectual Property) design infringement to the attention of the authorities, it also maintains the value of items made with genuine SWAROVSKI ELEMENTS. Especially when it comes to body crystals, as seen in this post Vajazzler Warning. If you’d like genuine Swarovski apparel, custom logo-wear, bracelets or tattoos, be sure to visit Sparkle Plenty Designs, a Swarovski authorized branding partner. This entry was posted in crystals for body, custom apparel, genuine swarovski, Swarovksi Crystal Shirts, Swarovski body gems, Swarovski body tattoos, Swarovski Crystal, swarovski crystal shirts, Uncategorized. Bookmark the permalink.